Swansea striker Wilfried Bony is on the verge of joining Qatari side Al Arabi on loan until the end of the season, Sky Sports News understands. The 30-year-old's contract at the Liberty Stadium is due to expire at the end of the season. Sky Sports News understands he is the highest earner at the Sky Bet Championship side, who are keen to get his wages off their books for the remainder of the season. The former Manchester City striker only recently returned to action after being out since February 2018 due to a knee injury. 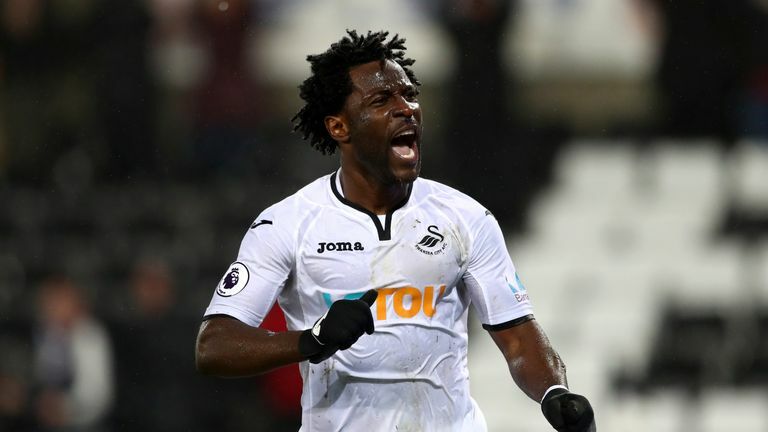 Bony scored once in seven Championship appearances for the Swans in the current campaign but was a regular scorer in his first spell at the Liberty Stadium, which started in the summer of 2013 and saw him score 34 goals across two seasons.